Pizza Flatbread Duo: Tomato Pesto & BBQ Chicken — Happy Food Co.
PLACE chicken breast tenders on greased baking sheet & season with salt and pepper. BAKE chicken for 12-15 minutes or until cooked through. SET ASIDE chicken to cool and turn oven to 425 degrees. Step 2: Let's Go, Pesto! SPRAY another baking sheet with non-stick spray. ARRANGE both wholegrain naan bread pieces side-by-side on baking sheet. SPREAD pesto over surface of one naan bread. 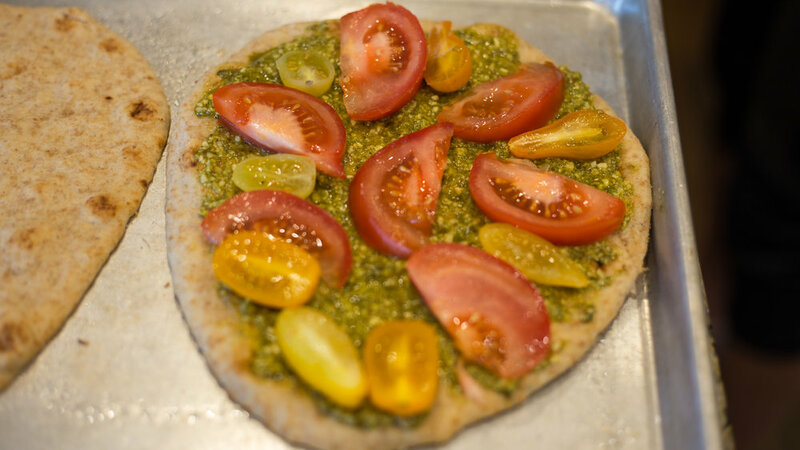 SLICE heirloom tomatoes on cutting board and place over pesto. PLACE dollops of local garlic herb sheep’s milk cheese on flatbread. DRIZZLE with lemon pepper olive oil and season to taste with salt and pepper. CUT desired amount of cooked chicken into bite-sized pieces on same cutting board. 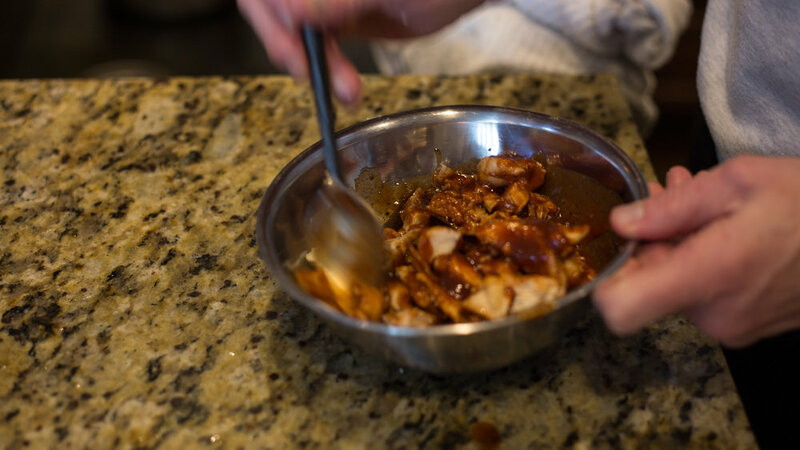 MIX chicken with barbeque sauce and roasted minced garlic to coat evenly. 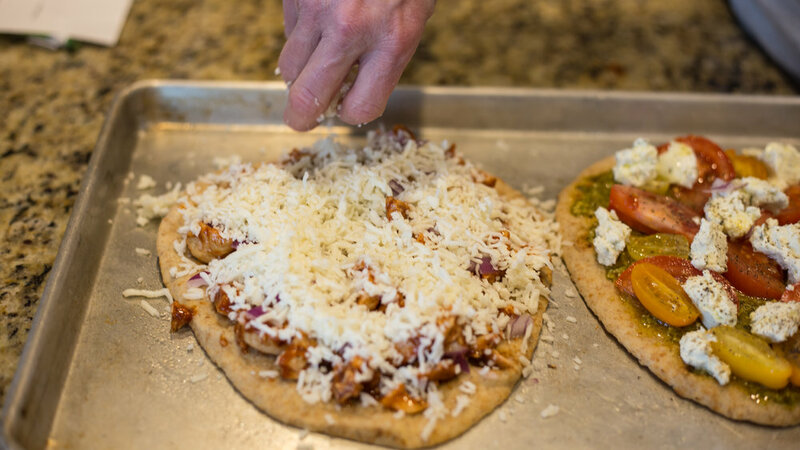 PLACE chicken mixture atop flatbread. SPRINKLE with red onion and desired amount of local cheese. Step 4: You Want a Pizza Me? BAKE both flatbread pizzas on top rack of oven for 10 minutes. CUT pizza into desired amount of slices. Be careful – it’s hot!